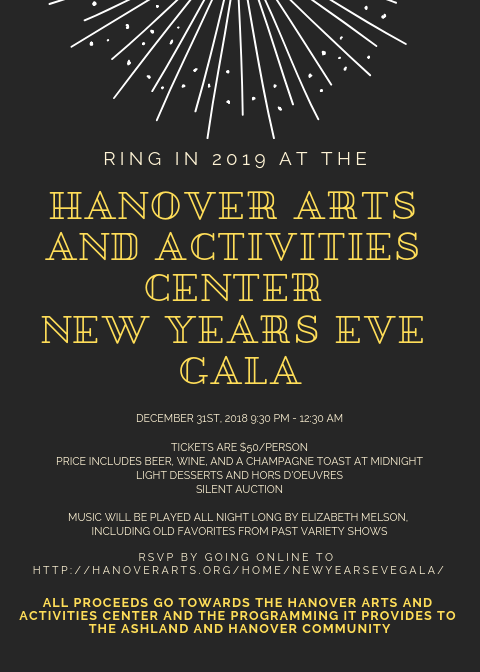 Ring in 2019 at the Hanover Arts & Activities Center! Ticket price includes beer, wine and champagne toast at midnight. Light desserts and hors d’oeuvers. Silent auction. Music by Elizabeth Melson, including old favorites from past variety shows. All proceeds go towards the Center and the programming it provides to the Ashland and Hanover community.